Nollywood actress, Iyabo Ojo is on set for a new movie. The beautiful actress took to her Instagram page to post a picture of herself rocking a pregnancy costume from a pregnant woman scene and told her fans to caption the photo. Popular controversial blogger, Kemi Omololu-Olunloyo slams the actress in her caption. Cardi B shocked the world when she came out on Instagram to announce her break up with Offset, the father of her child Kulture. Ecuador's president has said that the UK government has assured him that WikiLeaks founder Julian Assange will not be extradited to any country where his life is in danger. According to Amarchi, she has been battling depression for six months and had no longing to continue living. On several occasions, she had attempted to take her life by way of overdosing on drugs or cutting herself but her mother always came through to rescue her. Yesterday, Adeniyi Johnson made news after he publicly called out his ex-wife, Toyin Abraham and her manager, Samuel Olatunji, over his divorce proceedings with Toyin. Adeniyi had initially fueled speculations that himself and Seyi had broken up after he went on his Instastories to post that not everyone is bound to be married. See what he posted below..
A police officer attached to the Inspector-General of Police Intelligence Response Team, Idowu Haruna, has told Justice Oluwatoyin Taiwo of the Special Offences Court, of how alleged billionaire kidnapper, Chukwudumeme Onwuamadike alias Evans, shot the Chairman of the Young Shall Grow motors, Obianuju Vincent and killed two of his escorts while attempting to kidnap the transcorp executive. National Chairman of APC, Adams Oshiomole, has said that God will indeed punish former president Olusegun Obasanjo, for supporting Atiku Abubakar's presidential ambition. Freeze has reacted to Bishop David Oyedepo's claim of being dangerously wealth. Reacting via his Instagram page, Freeze wrote.. Protesters under the auspices, Forum of Non-Governmental Organizations (FONGON), today staged a protest at the US embassy in Abuja, demanding that the US government must not issue visa to former Vice President and PDP presidential candidate, Atiku Abubakar. A suspected Yahoo Yahoo boy was apprehended while trying to steal someone's underwear in Okpella, Edo state on Wednesday, December 5th. Wife of President Buhari, Aisha Buhari, has released a statement distancing herself from the suspected fraudster that was recently arrested by the DSS for impersonating Mrs Buhari while carrying out her fraudulent activities. The lady, Amina Mohammed, while being paraded, alleged that one of Mrs Buhari's sisters was part of her syndicate. 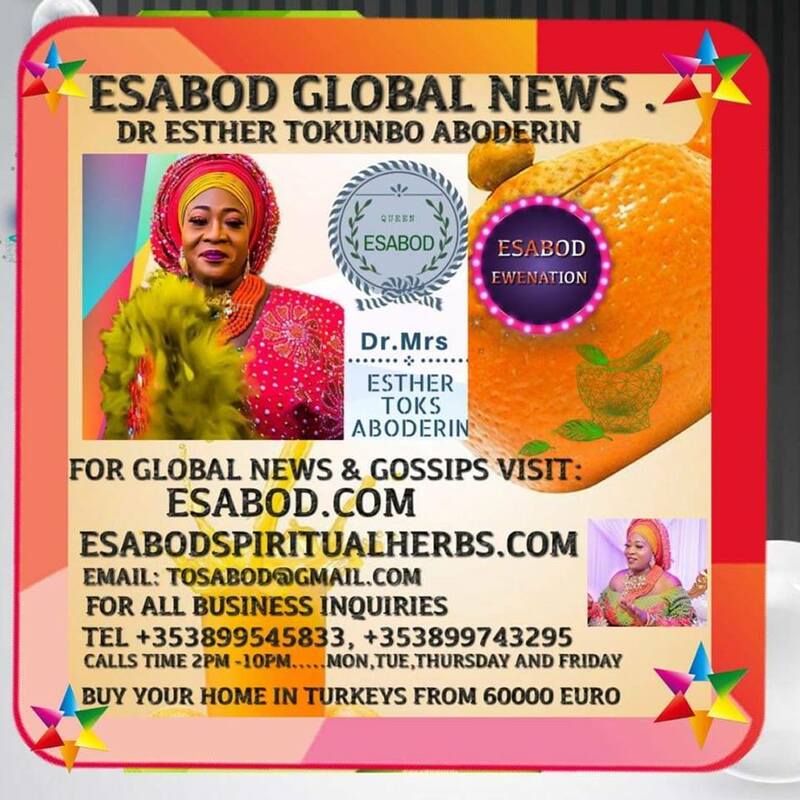 Read Mrs Buhari's statement below..
TVC presenter, Morayo Akabashorun, yesterday The 5th , said she trusts her husband so much but will never take chances allowing him bath their daughter. Morayo hinged her fear on the rapid increase of sexual assaults on little girls which in some cases is being carried out by their fathers. Days after Jimmy Kimmel mocked our president on his show , Trevor Noah and a correspondent on the Daily Show, have also made fun of President Buhari over this cloning allegation. Morayo, while speaking on her breakfast show, Your View, said she doesn't allow her husband to bathe their daughter due to the increasing rate at which fathers now sexually abuse their children. She, however, added that she trusts her husband completely but she wasn't taking chances. A man walked straight into a canal while operating his phone. Security cameras outside a pub in Nottingham, England, show the man engrossed in his phone while walking down the path. There was a canal covered in leaves in front of him and he walked straight into it. In a late November sermon, Pastor Gray told his congregation: "But God told me after we collected offering to leave it at the altar. And then let those who had needs get what they needed from the offering baskets." Founder and Senior Pastor of the Living Faith Church Worldwide, aka Winners’ Chapel, David Oyedepohas said that he has never received or shared any money from any government in Nigeria and that as a matter of fact, he is a ''dangerously wealthy man''.